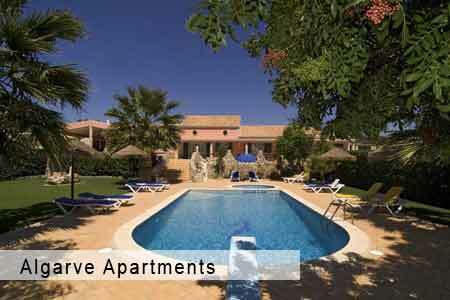 Algarve holidays - beautiful private properties for the perfect holiday! Please see for yourselves and find your perfect holiday Algarve holiday home! We offer truly stunning, exclusive, chic and modern vacation properties as well as simple and more budget concious villas and apartments for your holiday in Portugal. Some properties offer fantastic sea views, others peaceful rural surroundings with pools while others enjoy the buzz of a busy holiday resort. We personally select each property listed. We therefore are able to answer all your questions and give you detailed information and tips on each property as well as assistance with the choice of the right holiday accommodation for you. Individual private Algarve holiday villas and apartments - We love (and appreciate) Portugal! A safe and convenient way to pay for your holiday accommodation! We decided to make credit card payments for your selected Portugal holiday property available. It is safe, quick and easy to do. We want to make sure you have the best service online available when booking with us. We offer a great selection of fantastic properties, from the traditional and rural to those with magnificent sea views and beach-side. Delight in some qualitiy time with friends and family, enjoying the advantages and freedoms that a privately owned holiday home has to offer. Our 2018 selection is ready for you to browse and book your Algarve holiday. Balmy winter days, spectacular West coast panoramas, sleepy countryside villages, spectacular golf courses, hiking trails and cycling fun. Rainbow weather, Almond blossom in late January, Easter on the beach, surfing for both beginners and aficionados at the natural park of Costa Vicentina, secluded romantic beaches in Spring. Summer is hot and buzzing followed by a relaxed and pleasant Autumn. The people here are friendly and welcoming, with a relaxed mediterranean attitude to life throughout the year. The Algarve offers wonderful fresh fish and seafood, crunchy salads and many tasty meat dishes - for example the famously fiery chicken piri-piri ... or try a seafood Cataplana! Enjoy discovering the Algarve, the West coast; the hills of Monchique with their fantastic views and many Piri-piri restaurants; or simply delight in visiting interesting historic villages, castles and museums along the Algarve between Tavira and Sagres, not forgetting Alcoutim with its Spanish twin Sanlucár. Do you want to stay online in your Algarve holiday home? No problem - we provide unlimited Wi-Fi in all our holiday properties! Vilalaia - our guests, our main priority. We love Portugal! We realize WiFi access is one of the most asked for features by our guests, so we provide it in all our Algarve holiday properties either through fixed installed devices or on request through mobile Wi-Fi boxes. Stay online in our Portugal villas and apartments! At Vilalaia all our holiday homes are carefully and personally selected. By doing this we guarantee a custom-made holiday property based on your needs, for a very reasonable price. 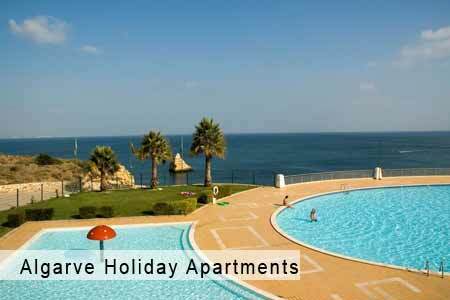 At Vilalaia we can offer great value holiday apartments with communal pools, centrally located and near the beaches. Our holiday apartments are ideal if you don’t want to hire a car. For beach lovers we have apartments overlooking the beach. At Vilalaia we have a fantastic selection of country cottages and private villas. Many have sea views, beautiful gardens and private pools. Some are more remote so we offer great deals on car hire.